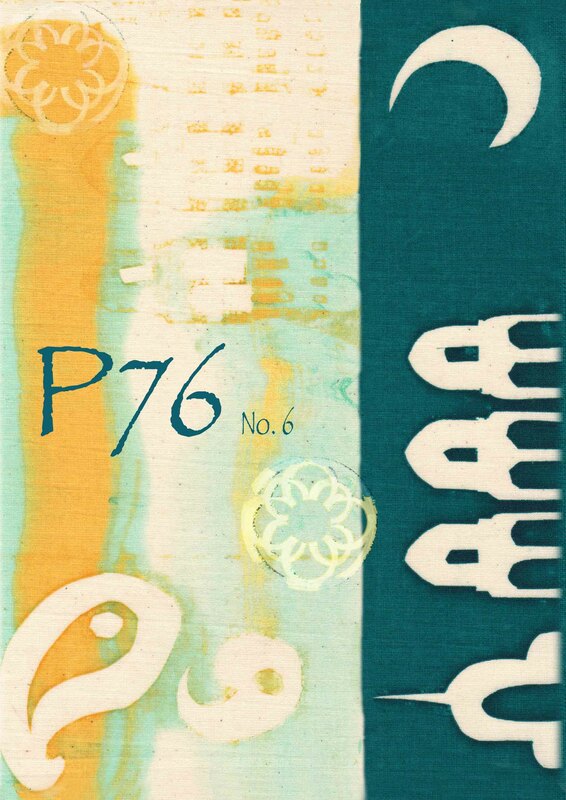 P76 Issue 6. 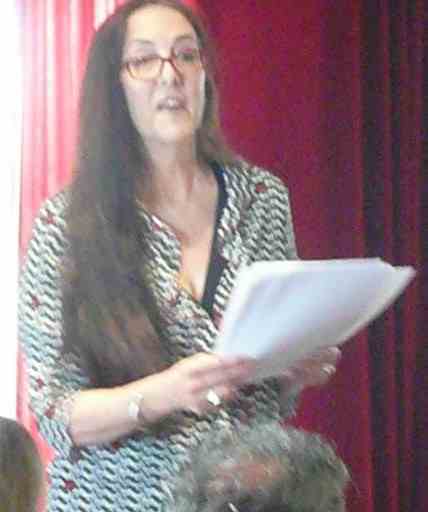 Launch Speech by Chris Mansell at the Friend in Hand Hotel, Glebe 21 October 2012. Greetings everyone on this Sydney Sunday where resurrections seem ripe – as do many of the attendees. It’s a brilliant, magnanimous, expansive day which seems to reflect the spirit of these new/old things – and their new/old editors and friends. We welcome the madness of the day and of this editorial adventure both then and now. It’s liberating to see P76 up on its legs again. It has been kicking about online recently, and now, over the horizon the Lost Edition appears like the Lone Ranger once again. (I think this makes Your Friendly Fascist Tonto by the way). Most of us spend time feeling unreasonably constrained by what we are supposed to do or be – whereas, in fact, we are not constrained at all. Small mags and presses come out of that freedom, that realisation, that we can do as we wish and have, up to now, the freedom to do and say as we wish. (Senator Conroy notwithstanding.) There might be opprobrium and marginalisation, even invisibility, but it allows us to do as we will. The marginalisation or invisibility depends of course of where you’re standing. Stand on the high pinnacles of accounting self-righteousness and the small mag looks minute; stand on the shoulders of an international publishing company, and small mags look, if they appear at all, like typing errors – mildly irritating but inconsequential. Stand where we are standing, however, and they are innovative, transgressive, and places for writers to try things out. Of course I’m thinking about this because I’ve just read the article on small presses in P76 (the lost issue) – the Now and Then article (which first appeared in Rochford Street Review). It mentions Compass magazine (of which I was an editor) losing its funding. There were good reasons for that – I’d handed it over to someone else and they weren’t very good at accounting. Now as then the reliance on government funding is, I think, problematic. Can you imagine any government in their right minds funding YFF or Nigel’s Post-Modern Writing, Meuse, Magic Sam or 925? We wouldn’t want them to. That freedom is more important than ever, that under the radar, I’ll Do What I Want, is the important thing about little mags (online or off). Compass only ever had funding to pay more to the contributors, not a cent went elsewhere btw. That’s the advantage of funding – but the disadvantages are many – constraint and that argumentative, small-minded, nit-pickery which goes with handling someone else’s money. The spirit of the small mag is back with the zine culture, and tiny presses taking advantage of sophisticated technology to do small but effective things (insert advertisement for PressPress here.). It’s appropriate that P76‘s final (is it final Mark? )* print edition should come out in this context. There’s almost no-one here who HASN’T edited or published a small press or small magazine at some stage. Vive la madness, I say. The P76 – and YFF – time capsules we have in our hands today are a testament to a sort of literary exuberance, a charming, feckless arrogance that what we all had to say was worth investing our hard-earneds in – as editors, writers and readers. What amazes me is that some of us are still alive – given that recklessness. It was a great delight to open this slightly-overdue issue and see it had work by Joanne Burns, Rae Jones, and Margaret Bradstock for example. must we record our names? Who knows, who knows, but apparently, at least One More Time. Thank you to the editors for making all the effort. The stapling alone I believe involved casualties. I’m glad Mark and Linda finally cleared out under their house and found those 5¼” floppy disks, broke into a computer museum and liberated the data. It’s a fine-looking, if somewhat-delayed, though not late, issue. Well done. * There will probably be an issue 7. A call for submissions will probably be made early in 2013. – Mark Roberts. Chris Mansell is a leading Australian poet, writer and publisher. She can be found at the following websites: www.chrismansell.com, www.presspress.com.au and www.wellsprungproductions.com.au.